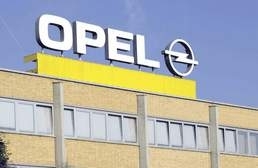 GM believes its bargaining position over Opel has improved following bankruptcy exit. General Motors Co.'s European arm Opel/Vauxhall should not receive state aid, says rival Ford Motor Co.
"We believe companies should pay for restructuring themselves," Wolfgang Schneider, Ford of Europe's head of legal, governmental environmental affairs said. "State aid maintains weak players that should not be in the market." GM is seeking about 1.8 billion euros ($2.4 billion) in state aid from European countries that have Opel/Vauxhall factories towards a turnaround plan that aims to cut 8,300 of its 48,000 workforce, reduce capacity by a fifth and return the unit to profit within two years. Schneider said government aid to automakers and suppliers had prevented restructuring in Europe's auto industry where there is 30 percent overcapacity. State aid in the form of soft loans and cash injections was not good for the overall health of the industry or companies such as Ford that restructured early, he told journalists on a conference call Thursday. Ford has in the past criticized aid to Renault and PSA/Peugeot-Citroen, each of which were awarded 3 billion euros in low-interest loans from the French government in February 2009 in return for a promise to safeguard jobs at their factories in France.